Welcome to auto supreme clean, your trusted hand car wash and detailing center. We specialized in vehicle and marine detailing, window tinting and paint protection film. 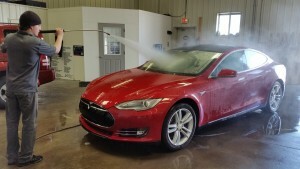 At Auto Supreme Clean we offer you a full range of auto detailing services for your car. From exterior washing and waxing or polishing to interior cleaning and upholstery protectant, engine wash, color sand and buff, we can do it all! Auto Supreme Clean provides you with the professional auto detailing your vehicle and boat deserves at a competitive price you can afford. 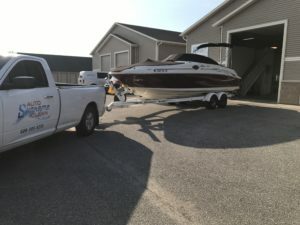 We are your trusted detail shop in the area of La Crosse County. Satisfaction guaranteed! At Auto Supreme Clean we also offer other quality services like paint protection film. It protects your new car’s paint from scratches, chips and the elements. Paint protection film or clearshield as we like to call it, protects you car against tree sap and bird droppings that can damage your paint. On the road, clearshield guards your vehicle from bug acids, rock chips and road debris.